You are here: Home / Press Releases / clé Introduces Oh Joy! October 5, 2017 (SAUSALITO, CA) — clé is pleased to introduce Oh Joy!, a collection of cement tiles designed by Joy Cho, founder and creative director of the Oh Joy! design studio. 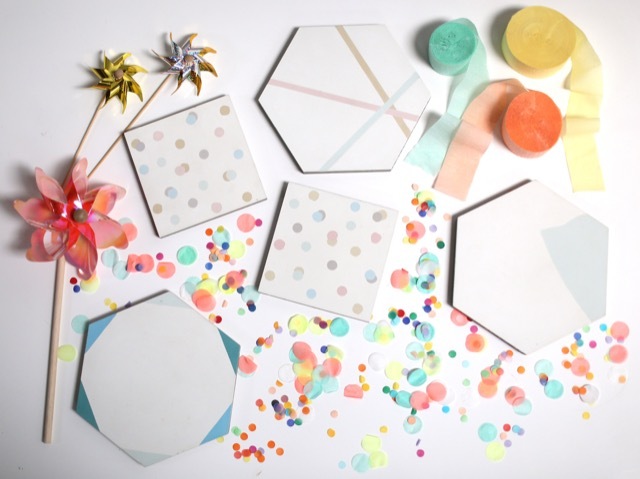 The five delicate hued designs come in 6″ square and 8″ hex shapes. Oh Joy! was inspired by the whimsy, pastel colors and versatile patterns that are Cho’s signature style. Each tile is hand-crafted from cement and can be installed indoors and out, on floors and walls. Oh Joy! Cement tiles are available exclusively on clé. Deborah Osburn started the international artisan tile e-boutique in 2012. The tiles on clé are as distinct as the artists who create them. It is Osburn’s goal to provide a forum for discovery and conversation about what she loves most, tiles created by impassioned artists creating remarkable surfaces.